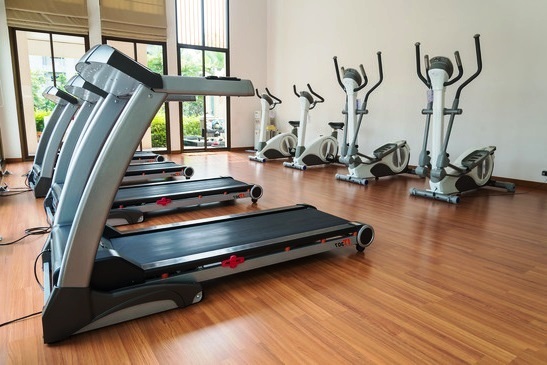 If you enter practically any gym in practically any city or town anywhere in North America, you’ll find both treadmills and elliptical equipment, and users debating the various merits of each, should you hit the elliptical or treadmill? So, which one is really the better? Is one more effective than the other for calorie burning, or for cardio-vascular training? We look at each type of equipment individually, and then try to come to some conclusions. The treadmill has stood the test of time. They’ve been in gyms since the 1800s, and in homes for almost that long. Because they’ve been around for such a long time, they’ve seen a lot of improvements over the years, and consequently are as close to perfected as any piece of exercise equipment could ever hope to be. The treadmill is a superb calorie-burner. Because you’re propelling all the weight of your body, you burn calories as a high rate – about 400 per mile. The treadmill is easy to use. Because you’re performing movements that are familiar to you, there’s none of the awkwardness that you can experience with other types of fitness equipment. The treadmill is versatile. You can adjust the incline and speed to allow for anything from a brisk walk to a hard uphill run, so any level of fitness can be accommodated. The treadmill builds strength. Walking and running strengthen your muscles and your bones. This can be of significant benefit in preventing osteoporosis. Not all treadmills are created equal. Depending on the size of the belt, people may need to modify the way in which they naturally run or walk. This can lead to problems with posture and muscle imbalances. A well-made treadmill is a wonderfully effective device – a badly-made one, not so much. Treadmills can put a lot of pressure on the joints. Running or walking on a treadmill is not a low-impact activity, and no amount of shock-absorption is ever going to change that. Using a treadmill can be difficult for people who are working through injuries, or who have problems like arthritis or osteoporosis. Motivation can be a problem. No one is ever going to plod along on a treadmill, and running can be difficult. That’s why a lot of people tend to avoid it. A person who’s resistant to exercise in the first place may find it difficult to hop up on the treadmill day after day. Holding onto the handles doesn’t really feel natural. Some people find this extremely awkward, and again, that’s something that can affect motivation. You feel like you’re not really working. Most people, when working out on elliptical equipment, feel as though they’re working a lot less hard than they really are. Consequently, you can burn the same amount of calories as you would on other types of equipment, but you won’t feel nearly as tired or sore from doing it. Elliptical equipment is low-impact. Actually, elliptical equipment is practically non-impact – there’s none of the pressure on your joints that you’d get from working out on a treadmill. Elliptical equipment permits you to stride in reverse, unlike a treadmill. This means that you can work different muscle groups than you could on a treadmill. Find out more here; Benefits of elliptical exercise machines. You don’t get the weight-bearing effect that you do with a treadmill. Granted, low- to non-impact means that you have less of a chance of joint pain or injury, but you also don’t get any of the benefits of weight-bearing exercise. Particularly for the elderly, the weight-bearing effect is important, since this is the type of exercise that prevents the development of osteoporosis. 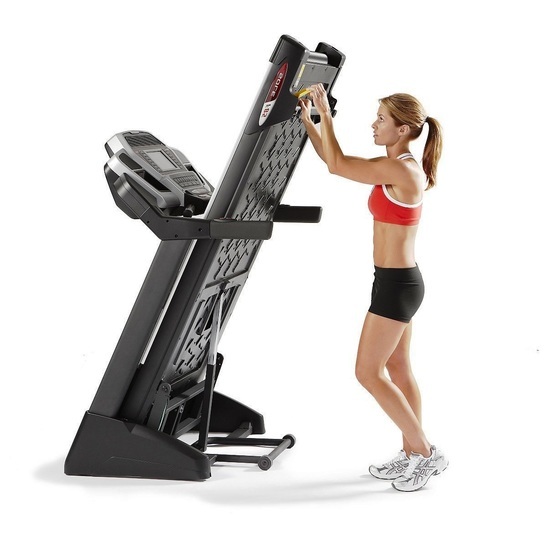 Many ellipticals don’t have an adjustable incline feature. Even if they do, it’s not as effective as it is with a treadmill. Elliptical Versus Treadmill – Burning Calories? In a typical one-hour session, you can expect to burn between 70 and 90 more calories using a treadmill than you would with an elliptical. Given that this isn’t really all that significant a difference, it’s probably safe to consider the treadmill and the elliptical essentially equal in this aspect. Find out more here; The best home workout equipment for better health and weight loss. So, Which is Better, the Treadmill or the Elliptical? It’s really not fair to say that the treadmill is better, or that the elliptical is better. You may find one more suitable than the other, depending on what you personally want out of your workout. If you’re looking to enhance your cardio-vascular health while avoiding pain in your joints, then you’ll do well with an elliptical. If you want to be constantly pushed beyond your personal comfort zone, then you’ll probably be happier on a treadmill. The main thing is to choose the means of exercise that you’re most likely to stick with, and that’s best suited to your personality and lifestyle. Whether that’s the treadmill or an elliptical exercise machine is entirely up to you. Learn more about elliptical here & read the latest news and reviews.